Plagued by terrorism and war Afghanistan is hardly top of most peoples travel list. The war has left the country with a reputation for violence and little good makes our TV screens in the west. 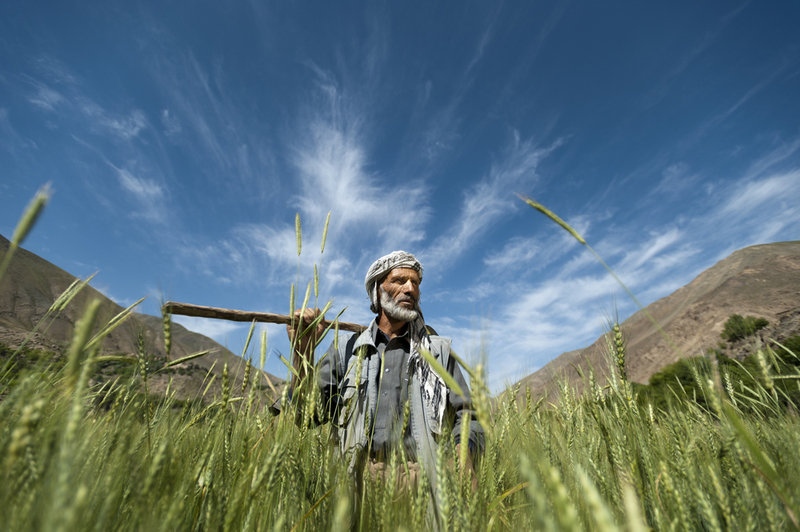 Although its rich cultural history, rugged landscape and generosity of Afghan people have long been a draw for adventurers, for now it remains firmly off the radar. Afghanistan was the last country I needed to visit while working on a book project about the life in the Himalayas. The Hindu-Kush stretches across the Indian subcontinent from Myanmar (Burma) in the east, to the far westernmost part of Afghanistan where I travelled in away from the no-go zones and war. I set out to focus on rural areas, everyday life and culture. 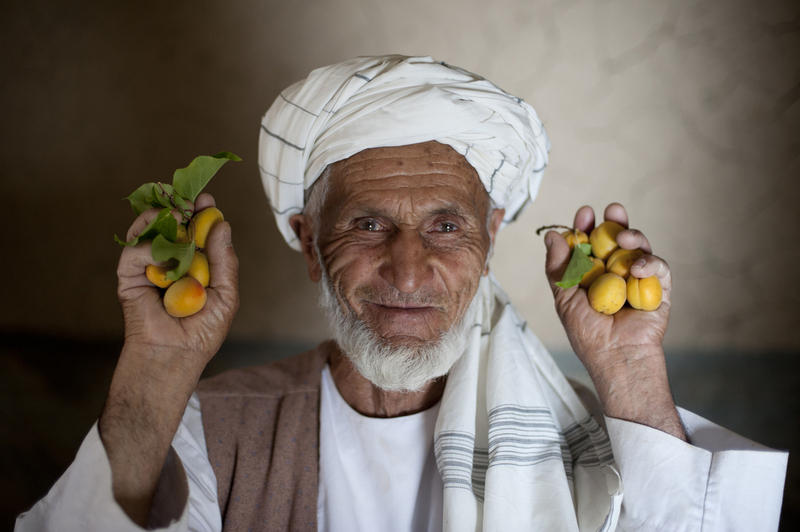 I went in search of the real Afghanistan, away from the war and terror. I started off in the bustling markets in Kabul, a chaotic little jungle of trinket shops, carpet sellers and giant chunks of Lapis filling windows. Occasionally I felt uneasy under the stares of watchful eyes as I poked my way through the dusty streets. Mostly it felt like any other vibrant bazaar in Asia, people going about their busy day. I ate in smoke filled restaurants sitting cross-legged on cushions. Whole sheep carcasses are hung directly above the stove and the cook simply butchers off the bits he needs and throughs them into a giant black pot, along with fistfuls of fresh herbs and spices. Huge roundels of hot Naan are piled high on the tables and you pay for what you eat. There's a genuine old-world feeling in Kabul that is rare to find these days, even for the most intrepid travellers. 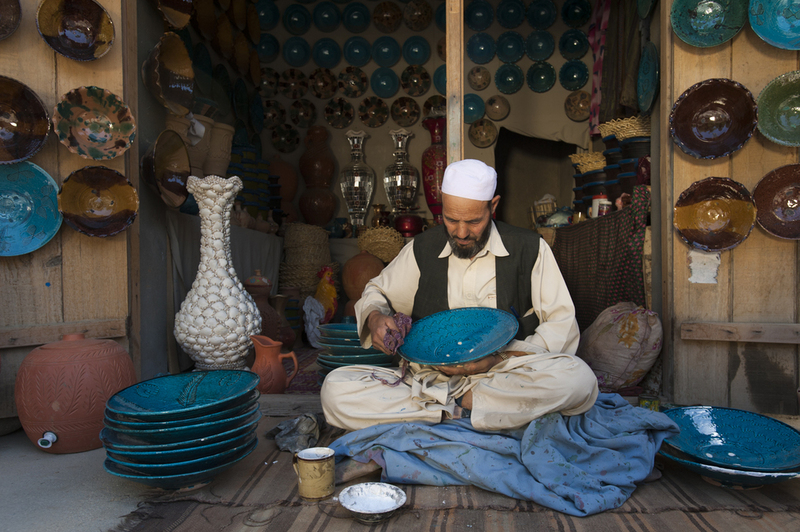 From Kabul I travelled to Istalif, famous for its blue pottery, and then by road to the stunning Panjshir valley, one of the most celebrated places in Afghanistan. The Panjshir river starts from a narrow gorge where snowmelt turn the river into a torrent, rich with fish. It gradually widens into the valley to reveal irrigated fields of wheat and maize dotted with walnut, apricot and mulberry groves. This was a popular tourist destination in the 70s but a decade later it became a symbol of resistance to the Soviets. Bamiyan in the heart of the Hazarajat, is surely one of the most beautiful parts of the whole country. While the ancient Buddha niches dominate the valley and whose rubble a constant reminder of the Taliban’s rage, there’s more to Bamiyan; the ruins of Shahr-e Zohak form a dramatic citadel perched high on the cliffs, neighbouring valleys like Fulladi provide the striking backdrop of the Koh-i Baba mountain range, and then the glittering lakes of Band-e Amir, one of Afghanistan’s most astounding natural sights. These six linked lakes that sparkle like jewels against the dusty mountains that surround them. Anywhere else in the world, they would be a tourist industry in their own right. Finally in Herat I felt more welcome than anywhere else in the country. Chatting to passing nomads on the outskirts of the city, inside its little bazaars, visiting the Friday Mosque, I chatted openly with Burqa sellers about the state of the country. Here I discovered an Afghanistan most people simply don’t know exists. Afghans are proud of their culture, they’re welcoming, generous and have a sharp sense of humour. The country itself is a spectacular array of landscapes but is it safe? On my last day, insurgents attacked one of the big hotels in Kabul. I could hear helicopters and sirens all day and was advised not to leave the house. The next morning a gunfight broke out beside the road on the way to the airport. Sand bags and gun turrets occupy every corner and security checks are a sobering reminder of how unstable and precarious daily life is. For now at least, Afghanistan remains an off-limits trove of travelling delights. Perhaps one day peace can come to Afghanistan and travellers can step onto the fabled silk route once more.